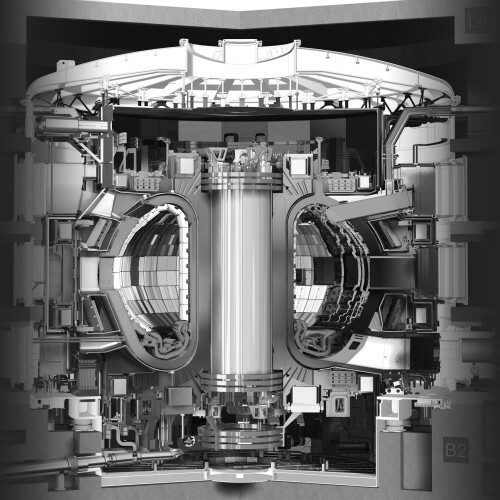 The CEA houses an experimental controlled nuclear fission reactor called ITER (International Thermonuclear Experimental Reactor) at Cadarache. The thermonuclear fission of light cores represents an almost unlimited source of power with no consequences to the climate. The project is based on international collaboration between Europe, Japan and Russia. The construction started in 2007 is programmed to be completed in 2017 and willl last approximately 8-10 years. Its operation, over at least 20 years, would mobilise 1,000 researchers, engineers and technicians, the majority of whom will be foreign. The cost of such an operation would be of over 4 billion Euros. The economic impact of such a project is major and undeniable.